Every Christmas, I look forward to my Aunt Natalie’s cucciddata, which are Sicilian fig-filled cookies. This month, I jumped at the opportunity to use up the fig preserves that my family had saved from last summer. 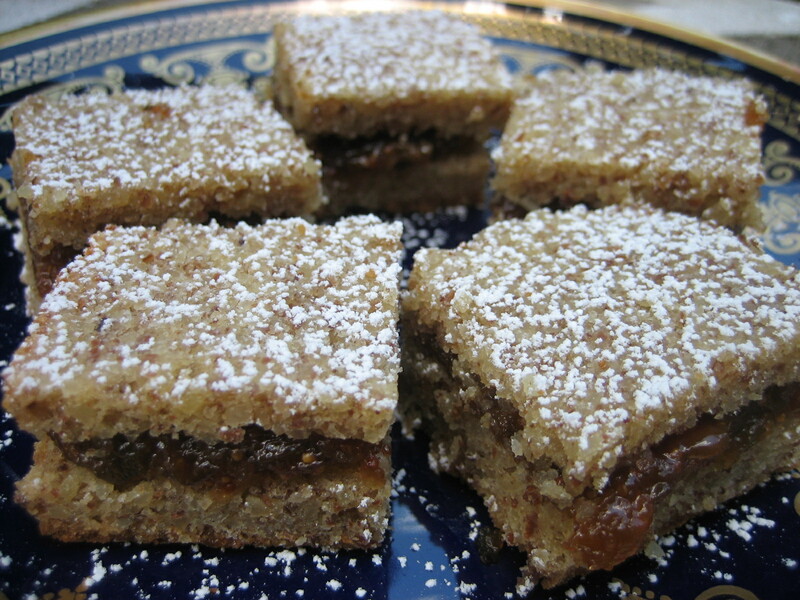 I decided to develop a gluten-free fig treat that retains the traditional flavors (almond, honey, orange, and fig) of cucciddata that the whole family can enjoy. Instead of wheat flour, I used almond meal which gives my Almond Fig Bars a surprisingly cakey texture. 1. Preheat the oven at 350°F. Lightly oil a 12 x 17 in. 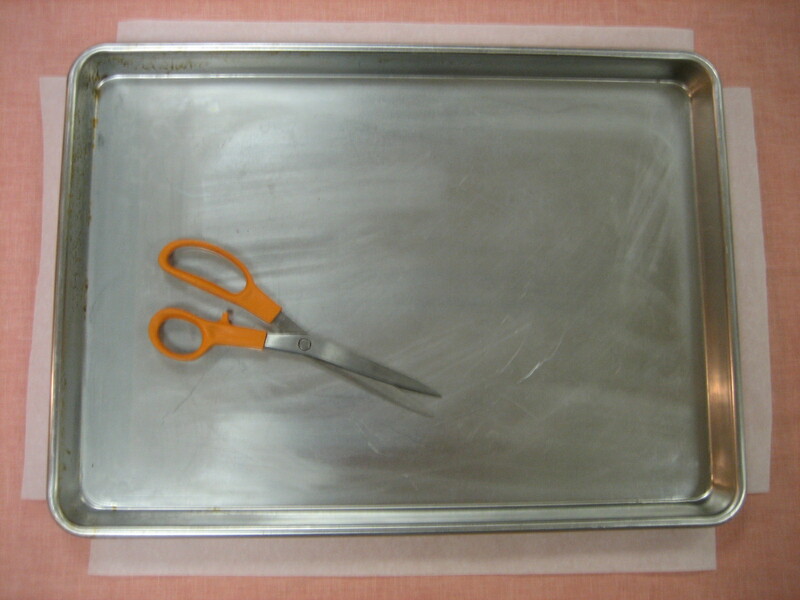 rimmed baking sheet and line with parchment paper fitted for the baking sheet (corners cut out). 2. In a food processor, grind together the almond meal, salt, sugar, honey, zest, margarine, and eggs until fully blended. 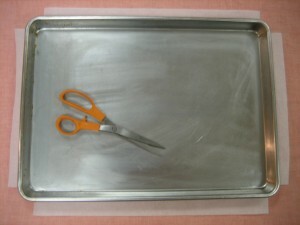 Pour batter into the prepared baking sheet and level out as much as possible. 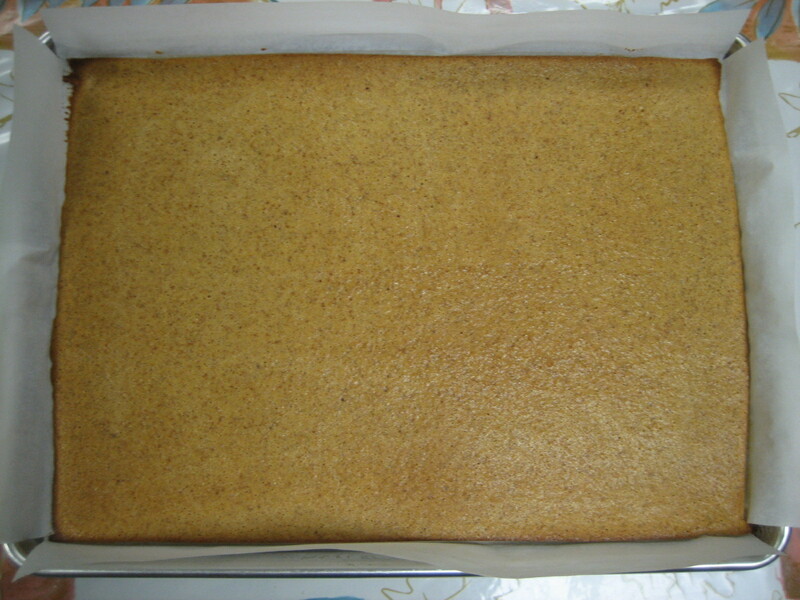 Bake for 20 to 25 minutes, rotating the pan halfway through, until the top is golden and the edges are light brown. Allow the almond “cake” to cool to room temperature. If you can’t purchase almond meal at your local market, you can pulse raw almonds in a food processor until the largest pieces are the size of couscous. Fig preserves are available in some supermarkets or through websites like amazon.com. After reading “Covering the Spreads” by Hurley and Liebman (Nutrition Action Healthletter, Sept. 2009), I decided to substitute tub margarine for butter in some of my cooking. Many tub margarines are no longer made with partially hydrogenated oil and are lower in calories, saturated fat, and trans fat than stick butter.